You’ve just packed up a huge stack of boxes to ship out to Amazon. Last thing you want to do is try to figure out how you can fit them into the car and get them dropped off at your local UPS store that is likely already closed for the night or weekend. Enter, UPS Smart Pickups. UPS has a service in which you as a business owner can have UPS come to your place of business (your house or warehouse) and pick up your shipment. Can it get better than that? Yes, it can. It’s completely FREE for the first year. So how do you take advantage of this amazing deal? Well first you need to go to UPS and sign up for UPS Connect. UPS connect is completely free and comes with one free year of UPS Smart Pick-ups. Ok so, stop reading this great article and go do that, then you can come back and read the rest. 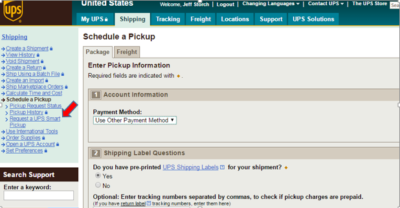 Once signed up, you want to go into “Maintain Your UPS Account” and turn on your pickup type to Smart Pickups. Smart pickups allow you to schedule a pickup with the click of the button and UPS will come the following business day to pick up your shipment. From the schedule a pickup tab you enter details about shipment and it should cost you $0 and UPS driver should pick-up your boxes the following day. Unfortunately, even if you follow these steps to a tee it doesn’t seem like all accounts pickup up the free UPS smart pickups without any human intervention. 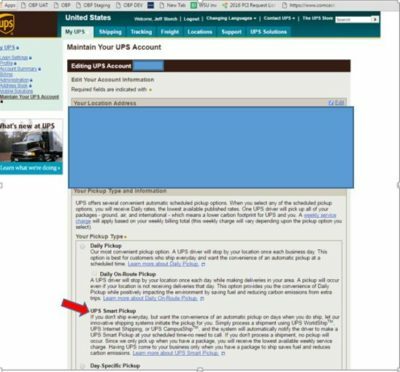 If they attempt to charge you for scheduling a pickup you will need to attempt to contact UPS Support (1-800-PICK-UPS) to get them to get your account setup correctly. I ran into issues when I set mine up and just keep scheduling pickups and adding pickup charges to my account. Then I told them I wouldn’t be paying because I’m a UPS Connect member that gets free Smart Pickups. Eventually, they worked it out and stopped charging me and zero’d out my account charges. Hopefully, you have better luck then me. Want more free stuff? Well in addition to getting free pickups, you can order free UPS shipping labels. These are the labels that you need to put onto the boxes you are shipping out to Amazon. 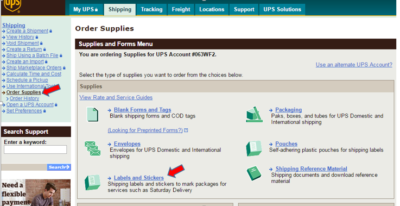 From your UPS account you go to shipping, order supplies and then labels and stickers. 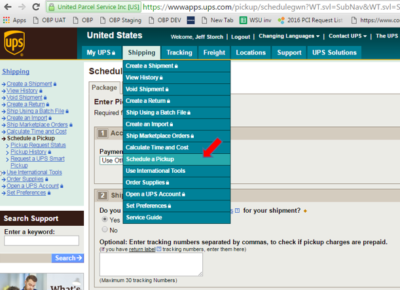 From here you select UPS WorldShip Peel-and-Stick labels and click update supplies order. Then you go to your cart, checkout and you’ll see that your cost is $0. Then in a few days you’ll have 50 labels that should at least last you a couple of days. Once you got this setup it will make your life just a little bit easier to get your shipments out. If you still hate prepping and shipping and do lots of OA, then why don’t check out how you can actually save money to use a prep center. If you are doing RA, then you may want to consider hiring local help or finding a prep center that is local that does RA drop-offs. At very least hopefully this trick saves you some money, time and effort! How to Get Ungated in Grocery This Week! This entry was posted in Fulfillment by Amazon (FBA), Retail Arbitrage, Tools and Services for FBA Sellers and tagged FBA, Shipments. Bookmark the permalink. ← Long Term Storage Fees are Coming!